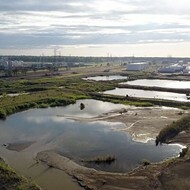 A coal ash pond at TVA's Allen Fossil Plant. 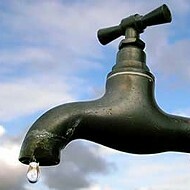 An environmental group said the Tennessee Valley Authority (TVA) has, again, delayed the release of tests results from its wells drilled into Memphis’ drinking water source but a TVA official said they don’t have the results and are awaiting them to compile into a state report. 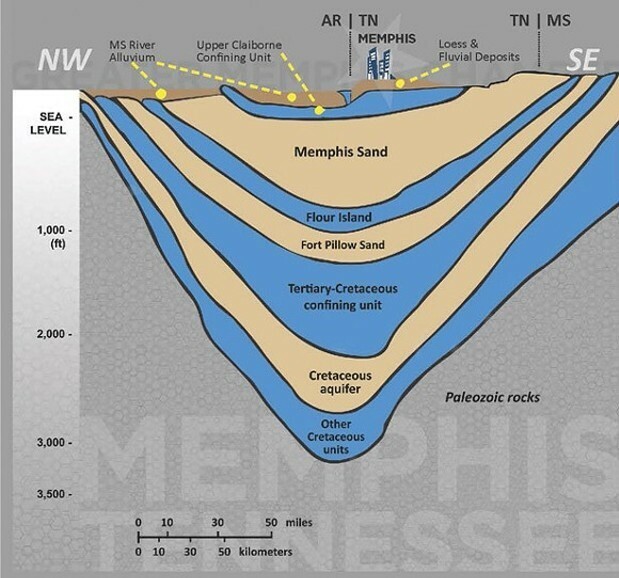 TVA drilled five wells into the Memphis Sand Aquifer last year. 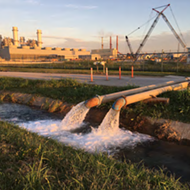 The agency planned to draw 3.5 million gallons of water from the aquifer to cool its new $975 million natural gas plant, which will replace an older coal-burning plant. That plan was halted last year after a local group, Protect Our Aquifer, filed a lawsuit to stop TVA from using the wells. 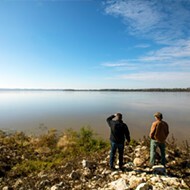 Then, TVA announced its researchers had found high levels of arsenic and lead in groundwater under a coal ash pit close to the wells drilled into the aquifer. 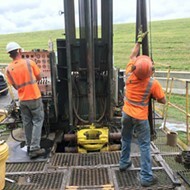 TVA workers install water quality monitoring wells near the Allen Fossil Plant. After that, TVA said it would not use the wells until an investigation proved they were safe to use. 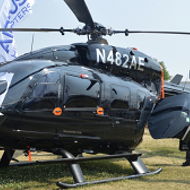 The agency hired the United States Geological Survey (USGS) and the University of Memphis (U of M) to conduct parts of the investigation. 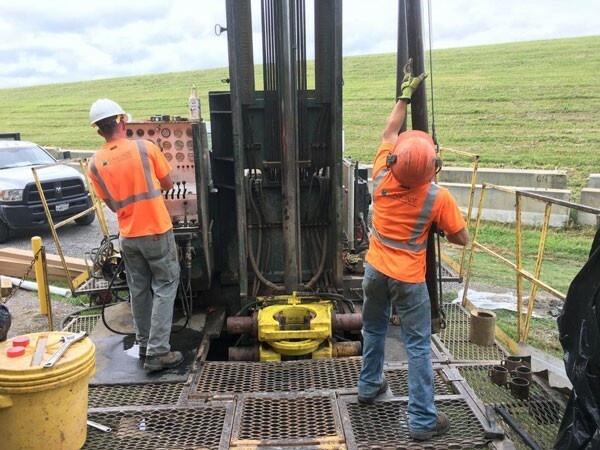 In early October, TVA ran the wells for a 24-hour period to test the water from them for any contaminants. Amanda Garcia, an attorney with the Southern Environmental Law Center, said TVA promised at the time to release the results at the end of the month. They didn’t, she said. The agency, then, delayed the release of the results until January, she said. Through a state records requests, Garcia found a document that says TVA won’t release the results until March. “We are concerned that the public — and especially regulators — are not being made aware of the results of this test that is suppose to provide insights on whether the cooling water wells at the gas plant are safe to operate,” Garcia said. 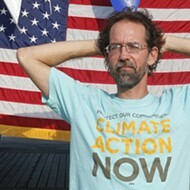 But Scott Brooks, a TVA spokesman, said, simply, they don’t have the results. 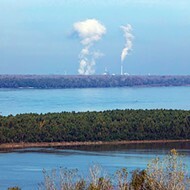 But the SELC’s Garcia said TVA has known “for several years” that there was arsenic in the groundwater under the coal ash ponds at the Allen Fossil Plant. Though, TVA found extremely high levels of arsenic in a groundwater well in fall 2016, she said. “That TDEC allegedly asked for TVA to present all of the information at once wouldn’t prevent TVA from informing the residents of Memphis who rely on the Memphis Sand Aquifer for drinking water sooner rather than later,” Garcia said.